At $603 billion a year in revenue, and close to 2.3 percent annual growth, the restaurant industry is booming, according to the market research report Global Fast Food Restaurants, released in March by IBISWorld. Make no bones about it, it’s an exceptional time to be a restaurateur. With that said, however, no growing industry comes without its fair share of challenges — one of which of course is stiff competition. With more people dining out more frequently, there’s been a serious increase in restaurants popping up seemingly out of nowhere, eager to fuel this growing trend. The only way to stay on top of your game is to adopt digital restaurant marketing. If your business is one of them, you know that it’s important to stay ahead of the curve: That way, you can continue to serve up the dishes you love, to the people who love them. To help you do that, here is a list of some important metrics and trends for you to keep a close eye on. Chances are, you’ve seen them: posts on Instagram, the social media platform that boasts on average half a billion users on a monthly basis. Well, it just so happens that Instagram is helping the restaurant industry make a massive amount of money. Shake Shack, the burger place, practically made its name on social media. It exploded onto the scene, driving engagement via great photos and skillful commentary. Goldman Sachs analysts explain that Shake Shack is 100 times more successful on Instagram than McDonalds, which seems extraordinary because Shake Shack has 63 U.S. locations, to McDonald’s 36,000! This seems largely due to Shake Shack’s backing up the quality of its fare: quality in its ingredients and quality in its social media interactions. 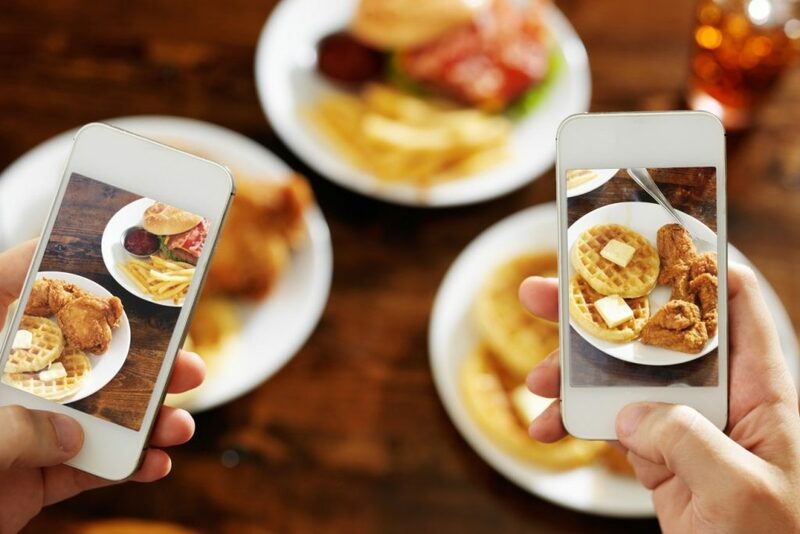 Instagram’s heavy influence on restaurants’ success, in fact, has motivated many to take an “Instagram-worthy” approach to food creation — plating food that doesn’t just taste great, but looks great too. So, get in on this trend: Encourage your patrons to take plenty of pictures and hit the “follow” button on Instagram. In previous years, restaurants made a serious effort to be everything to everyone, and that worked. But today, people’s tastes are rapidly evolving, and a plate of cheeseburger and fries . . . just isn’t cutting it. Customers want to experience ethnically diverse foods, healthy foods, experimental cuisines — you name it. This is why restaurants are getting more and more focused, creating specialty foods that cater to a select few people’s interest. So, in 2017, recognize that it’s better to create a menu that offers super spicy Thai food than one that serves BBQ, pizza and cheeseburgers. It’s a phrase nobody likes to hear when calling into a hot spot, in hopes of reserving a table. So, why are restaurants all over the world instituting a “No reservation” policy? Because people aren’t showing up. Recognize that many restaurants are now moving to a first-come, first-served policy and reaping rewards because of it. Chances are, if customers show up at your restaurant and are faced with a 20-minute wait, they’re going to stick around and have a drink. Back in 2015, as reported by IBIS World, the food truck industry cashed in at $1.2 billion in revenue, with a total increase of 12.4 percent over the previous five years; it’s been going through the roof ever since. Restaurants with stand-alone locations are starting to make the jump to adding a food truck that’s on the go at all times (though, in some cities, food trucks are less popular). With that said, however, even if the mobile food industry is booming in your area, you may want to think about whether it’s smart to load up a truck and start rolling. More and more restaurants are implementing loyalty programs in hopes of keeping their regulars coming back. Restaurants’ current customers spend a massive 67 percent more than new customers. So, it goes without saying that those loyal customers are the real fuel restaurants need. The simplest way to implement a customer loyalty program? With a punch card. Restaurants, though, are getting innovative and increasingly moving to digital customer loyalty programs. FiveStars is an example of a digital customer loyalty app that quite a few restaurants have adopted. No loyalty program at your restaurant? Time to think about one. Instagram highlights the importance of taking photos in restaurants. InfoTrends‘ most recent worldwide image capture forecasts that consumers will take 1.1 trillion photos worldwide in 2016 and that number will grow to 1.2 trillion photos in 2017. The compound annual growth rate (CAGR) from 2016 to 2017 will be 9 percent. Importantly, “photos” goes beyond food. It’s become more and more important for restaurants to create experiences where customers want to take pictures. While food is the biggest issue, of course, the interior design and aesthetic and atmosphere at your restaurant’s atmosphere also count. Email marketing drives more conversions (purchases) than any other marketing channel, including social media. Email marketing has a return on investment of 3,800 percent. Before the digital age, running a successful business was all about location, location, location. But today, businesses have the opportunity to get in touch with anyone anywhere, as long as they have an email address. Consider: If 1,000 of your customers decided to share their email address while dining at your restaurant, and even just 5 percent paid you a visit every time you sent out an email, that would be 50 tables you could count on. Not a bad ROI for an email, right? So, build up your email list, and see the customers swarm. If your restaurant is alive and thriving, it’s a safe bet that your food is tasty. But, today, tasty food is not enough. In order for a restaurant to remain profitable in 2017, its owner has to commit to ramping up his or her marketing — whether that be with Instagram, a new interior design, a food truck, an email list or a new loyalty program. There is no wrong answer here (as long as you are utilizing one or more of the metrics/trends above). The only wrong answer? Choosing to do nothing at all. 5 Reasons Why You Need Clover POS Gift Cards.